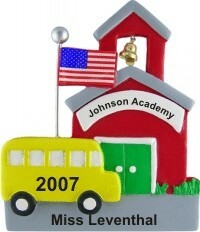 We agree that education matters, it matters a whole lot. 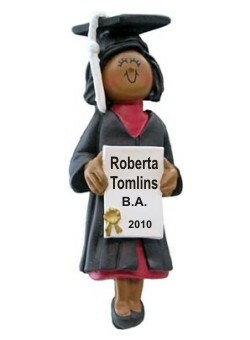 Our educators are instrumental in determining mental acuity, social awareness and many other facets of adult life that we take as norms. 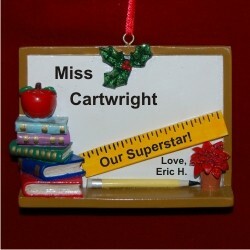 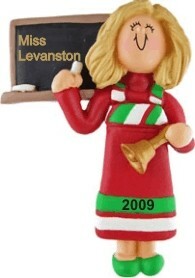 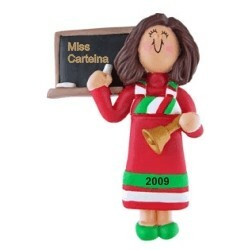 In our education Christmas ornaments category, we offers ways to celebrate the wonderful support and achievements we've all received from our teachers present and past. 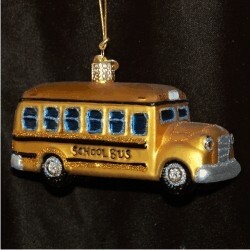 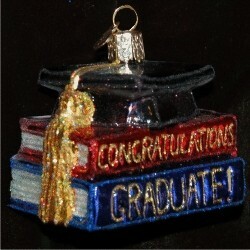 We offer ornaments for educators from daycare all the way through college, as well as for the graduates who have benefited from their care. 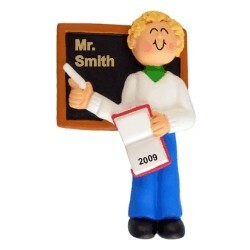 Choose the style that best fits your care giver, teacher, professor or graduate. 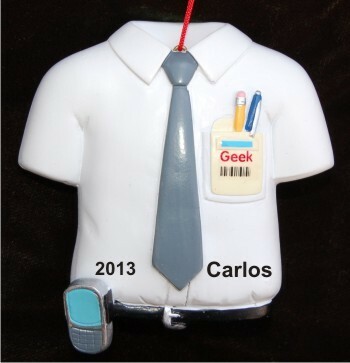 Then we'll personalize it. 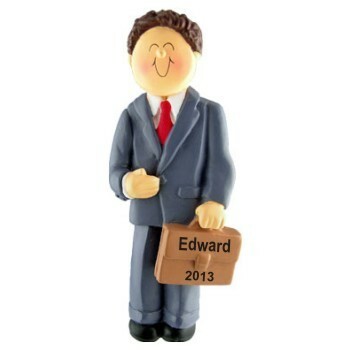 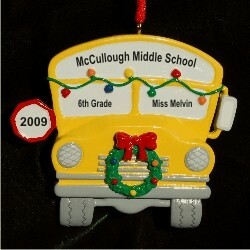 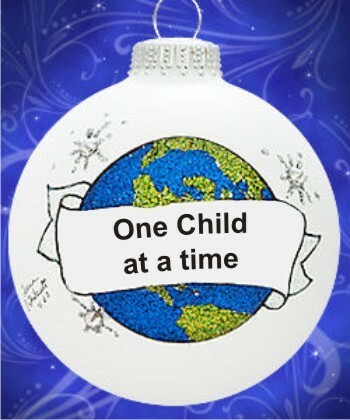 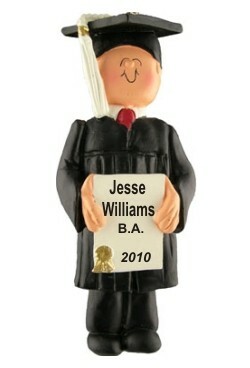 You can customize the ornament with the recipient's name and often with the year as well. 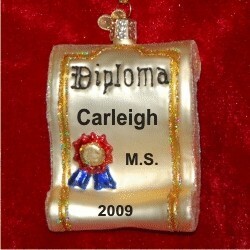 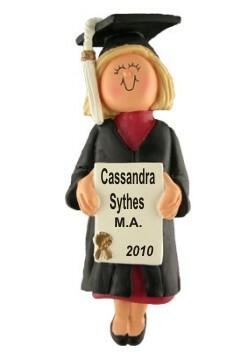 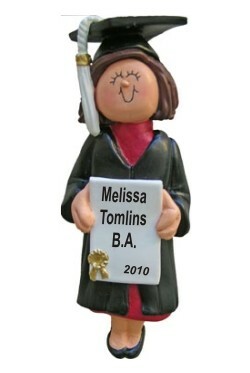 And, on some ornaments you can add a heartfelt, thankful sentiment, congratulatory message, and/or degree earned. 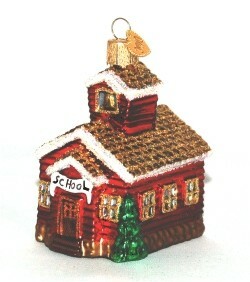 Where size permits, our education ornament designs arrive in our exclusive black velvet bag ready to make a beautiful gift to someone special.